Engine teardown begins. Oil pressure sender swap to match the gauge in the bus. Universal case blanking plate drilled & threaded to suit the oil temp' gauge. 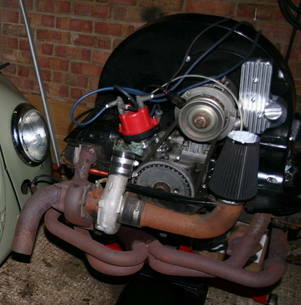 Turbo inlet & exhaust pipework along with the header removed to gain access to the oil fittings behind the turbo. Exhaust header heat wrapped to manage under valance temp's and protect the new oil pipework as it routes to the external filter & cooler. Throttle body & injector before and after. 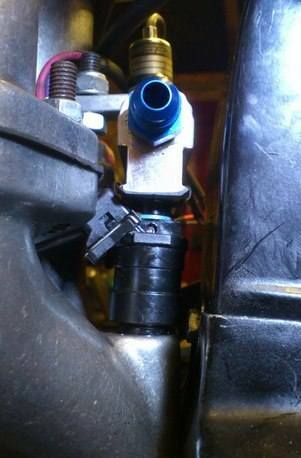 Previous install had the injectors hard up against the fan housing causing poor clearance & a broken electrical connection. 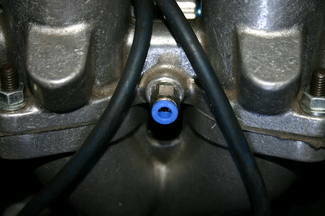 Manifold fittings changed to quick release couplings for MAP signals to fuel regulator and MAP sensor. 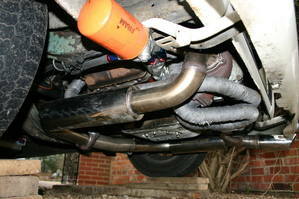 Custom fabricated twin box exhaust. Full stainless steel. 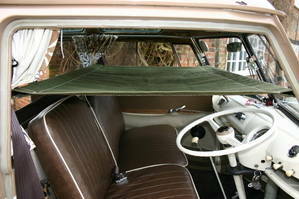 Child hammock installed over cab area. 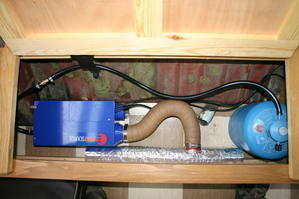 Propex gas heating installed into stock heater box. ECU mounted inside interior for more protection. 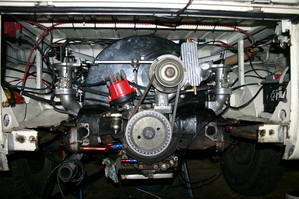 Finished engine install. "Bus was amazing...! Completely different bus to the one I dropped off to you! It is SO different. Can accelerate uphill, sat at 70 all the way home and only had the accelerator pushed down less than an inch! God knows what it would do if you pushed it further! I opened it up a couple if times to overtake and it was really quick!!! If you drive it normally it doesn't feel that much different and can be quite tame, but a change down and a press of the accelerator and it is brilliant! Drove it around town and it was well behaved. Just difficult not to be tempted to put your foot down! 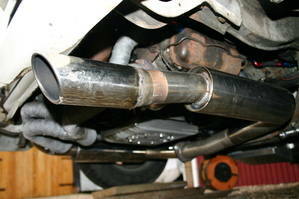 Suprisingly, the exhaust is quite quiet, certainly no louder than the last one. I kept getting confused by the turbo whine as half expected to see some Subaru half whit boy racer, then realised that half whit was me! The front end is a massive improvement! With new tyres it will be even better. Less roll in corners, roundabouts are much better too! Less scary going round corners as it used to roll lots! As you can tell, very happy! Still smiling just thinking about it. 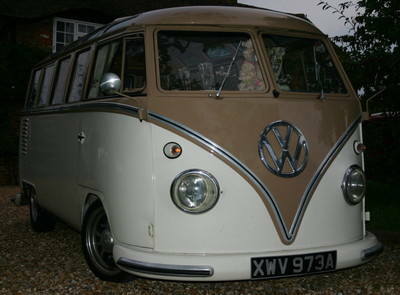 Thanks again - you have done a really good job and made an old fart with two kids a very happy man!" Yikes that sounds scary.. Jim will sort you out.. Hope your having a fire extinguisher installed also.. :) beat of luck, post some vids up once it's done! 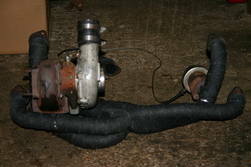 No worries, does look like the same turbo.. Hard line returning to sump plate as a drain? Folded tinware around turbo? 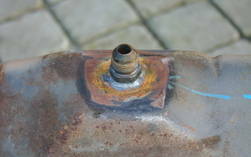 Tin gasket to reduce oil flow to turbo? Solid alloy line from wastegate to inlet pipe above turbo outlet pre carbs? 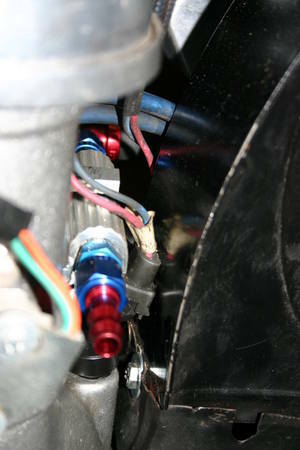 ------------------------------------- Wastegate wasn't connected to any solid alloy line, but the fuel was running through some alloy pipe and also fuel running through general purpose rubber water hose. 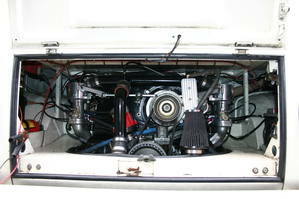 I think that's my old turbo kit, I made that piping years ago, I recognise the inlet piping and I think the tinware.. The turbo is a Schweitzer s2a, did you get the micro dynamics box with it? 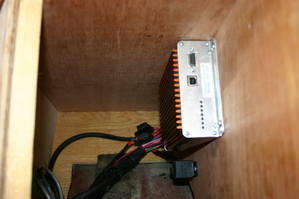 ----------------------------------- Its come with the CB EFI kit and not found anything labelled up as micro dynamics. Looking great mate!! Thanks for all your hard work!